Karcher.co.kr: 카처 코리아에 오신것을 환영합니다. Karcher.co.kr is tracked by us since May, 2015. Over the time it has been ranked as high as 537 599 in the world, while most of its traffic comes from Korea, where it reached as high as 9 810 position. All this time it was owned by Karcher, it was hosted by Korea Telecom, LG DACOM Corporation and others. Karcher has a decent Google pagerank and bad results in terms of Yandex topical citation index. We found that Karcher.co.kr is poorly ‘socialized’ in respect to any social network. According to Siteadvisor and Google safe browsing analytics, Karcher.co.kr is quite a safe domain with no visitor reviews. Karcher.co.kr gets 100% of its traffic from Korea where it is ranked #23243. Karcher.co.kr has 453 visitors and 3.63K pageviews daily. 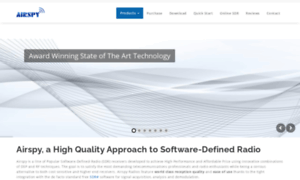 Karcher.co.kr has no subdomains with considerable traffic. 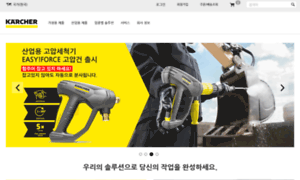 Karcher.co.kr has Google PR 3 and its top keyword is "Karcher" with 3.20% of search traffic. Karcher.co.kr domain is owned by Karcher and its registration expires in 2 months. Karcher.co.kr is hosted by LG DACOM Corporation. Safety status of Karcher.co.kr is described as follows: Google Safe Browsing reports its status as safe.